Ask the majority of people about Lady Jane Grey and they will probably know that she was ‘Queen for Nine Days’ and that she was executed at the Tower of London but that will be about as much as they will know. Ask them who Jane Dudley was and again not many would be able to answer. 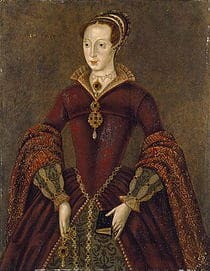 The sad truth being that Lady Jane Grey’s life was cut short at the tender age of sixteen and only nine days of it remembered. As well as being up against the more familiar figures of Tudor history eg Henry VIII, Anne Boleyn, Mary I and of course Elizabeth I, she has perhaps become one of the less significant persons in Tudor history. From the day she was born the stars didn’t favour Jane and her life must be one of the saddest in history. Let me take you back to the day in October 1537 when Jane made her first appearance to the world. Her father was Henry Grey (who was created Duke of Suffolk in 1551) and her mother was Frances Brandon, daughter of Charles Brandon through his marriage to Mary Tudor – Henry VIII’s sister, hence making Jane the great granddaughter of Henry VII. In a time of religious turmoil Jane was a Protestant from birth. Despite her miserable upbringing Jane found refuge in her studies and was an excellent student. She turned out to be a fine woman with a humanitarian approach to life who preferred to read rather than to hunt. At the age of nine Jane went to Court to be looked after by Catherine Parr and it was here she found the love she craved and indeed thought more of Catherine than her own mother. But this love was short lived as when Catherine died in childbirth, Jane was sent back to her parents. She would never find happiness again. Knowing that King Edward VI would probably die soon, her parents made plans for Jane so they could use her as a puppet to further their own ambitions. In May 1553 they informed her that she was to marry Guildford Dudley the Duke of Northumberland’s son. When she refused they beat her until she obeyed. After the marriage she went to live with his family who she hated and in particular despised her father in law. It was here Jane suffered a nervous breakdown, but the dislike she had for Guildford lessened as she soon began to realise that he was being used as a pawn just as she was. After two months of marriage, on July 6 1553 Edward VI died and he favoured Jane to become the next Queen instead of his half sisters Mary and Elizabeth. On July 9 1553 Jane became Queen and was taken to the Tower of London to await her Coronation. Although Jane did have a rightful claim to the throne through her Grandmother, Mary Tudor, she was not the rightful successor. England favoured a Catholic Queen so her father in law attempted to capture and imprison Mary but he failed and Mary rode through London to replace Jane as Queen. A rebellion against Mary was started and this time Jane’s father was an active participant but this too failed. Arrested and charged with high treason Guildford and Jane were taken to the Tower where they remained until they both were found guilty and sentenced to death. Although Mary offered Jane her life in return for her agreeing to follow the Catholic faith – Jane refused. On February 12 1554 Guildford was executed first, followed by Jane who had watched his headless body being taken away. Jane was executed at the Tower of London on 12 February 1554 at the age of 16. Did Jane love Guildford? – No, it would appear that she didn’t but had they been given more time I think they would have found a lasting love. He pleaded with her to see him in the last few days before his execution, but she refused, although she cried to see him go to his execution. On his half the name Jane was engraved in the stone of his cell in the Tower. Having lived near Bradgate Park for many years, I was lucky enough to be able to take my dogs there every week. It is such a magical place with the remains of the house where Jane and her family once lived. It is surrounded by forest where the many fallow and red deer still roam. Legend has it that the foresters of Bradgate, after her execution, beheaded the Oak trees as a mark of respect to Lady Jane and they can still be seen today. A legend also exists that Queen Victoria sent Jane’s body back to Bradgate Park for it to be buried there after it was exhumed at St Peter ad Vincula. It isn’t hard to stand on a hill on a summer’s day and imagine the horses of the past thundering by with the news that Jane would be made Queen. Maybe I am biased as I have had such close connections with where a potentially great Queen once lived, but no one will ever know how England would have turned out under the rule of Queen Jane. One could only hope that it would have turned out less ‘Bloody’ than under the rule of her cousin Mary. After a life of relentless misery, here was a young woman who stood by her faith and convictions to face her tragic end as the ‘innocent traitor’ and made her mark in history in just nine days. May her spirit live on……..
Jane truly was an Innocent young women…a sacrificial precious lamb…and a daughter of the KING of kings and the LORD of Lords. What is so heart-wrenching is that the same Privy Councilors who fell to their knees before Jane (albeit on Duke Northumberland’s wishes) to “pledge” their loyalty to her life…some of these men later urged Mary to sign the death warrant against Jane. And I may never understand how Frances Grey, her mother, could ever have found happiness…or even continued to serve Queen Mary after her oldest-daughter was so-brutally slain. Queen Jane should be remembered as her part to do best by God for her realm, let down by her parents and peers, she rose above tradition. Blessed is she, God rest her soul.